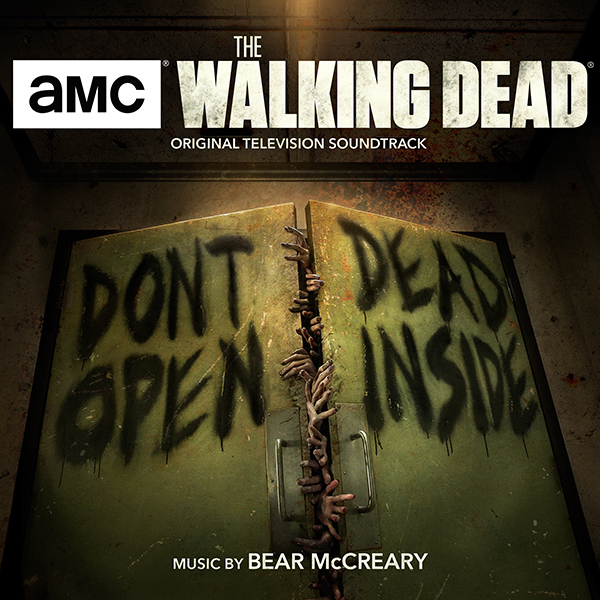 Lakeshore Records and Sparks & Shadows are proud to release the first soundtrack featuring EMMY® award-winning composer Bear McCreary’s (10 Cloverfield Lane, Rebel in the Rye) original score for AMC’s The Walking Dead. The soundtrack will be released digitally and CD on October 20th, on LP October 27, 2017, and is available for pre-order at (http://smarturl.it/TWDscore). Premiering on Halloween 2010, in 120 countries simultaneously, The Walking Dead became a cultural zeitgeist practically overnight. A deserted car wreck. A policeman walking through it. The back of a little girl. He calls to her. At first she doesn’t respond. Then she turns around… revealing that all is not quite what it seems. The cop left with no choice shoots her, and as she falls, the tremolo string arpeggios of the “Main Title Theme” by McCreary crescendo, drawing millions of viewers into this harrowing world of The Walking Dead. EMMY®-winning composer McCreary is one of the most sought-after talents in the industry today. In 2017, he had an impressive showing at Sundance with three films at the festival: Danny Strong’s drama Rebel in the Rye, the sci-fi thriller Colossal starring Anne Hathaway, and Jennifer Brea’s documentary Unrest. Some of McCreary’s other film credits include the critically-acclaimed Paramount Pictures and Bad Robot film, produced by J.J. Abrams, 10 Cloverfield Lane, Universal/Blumhouse’s upcoming thriller Happy Death Day, the animated feature Animal Crackers, and Disney’s Step Up 3D. His videogame credits include Sony PlayStation’s highly anticipated new God of War. McCreary burst onto the scene scoring the influential and revered series Battlestar Galactica. His music for the series was lauded by Variety as “innovative,” and “like no other” by NPR. McCreary won an EMMY® Award for Outstanding Main Title Theme for Da Vinci’s Demons. McCreary also received EMMY® nominations for his work on Black Sails, Outlander, and Human Target. He has twice been awarded “ASCAP Composer of the Year – Television” by his peers. He currently scores Outlander, AMC’s record-shattering global phenomenon The Walking Dead, as well as Marvel’s Agents of S.H.I.E.L.D. McCreary frequently performs in concert throughout North America and Europe, including the Getty Center, the Hagen Philharmonic and Ballet in Germany, the Television Academy, and the Golden State Pops Orchestra. In July 2014, Maestro Gustavo Dudamel conducted a suite of McCreary’s music with the L.A. Philharmonic and L.A. Master Chorale at the Hollywood Bowl.